John Quick, Republican Gov. 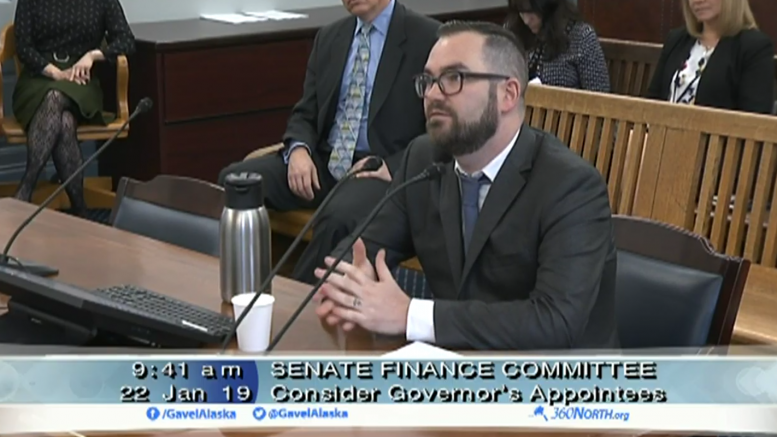 Michael J. Dunleavy’s Department of Administration commissioner, has resigned from his position after a former employer penned a letter accusing him of lying during his confirmation hearing with the Alaska Senate on Tuesday. Quick had held the position since Dunleavy took office in December, but needed a majority of the Legislature to be permanently confirmed to the position. He was in front of a joint meeting of the Senate Finance and State Affairs committees, where legislators dug into his employment history but didn’t reveal any inconsistencies at the time. The committee, chaired by Republicans, did not take any public testimony. That came later in a letter from Washington business owner Janie Reynolds, who accused Quick of lying to the committee about his ownership and involvement with the launch of a coffee shop and a frozen yogurt shop in Puyallup, Wash. Quick had told the committee he was a co-owner and investor in the businesses, telling the committee he sold his stake in the company to a high school friend in 2014 (though he declined to identify his business partners). Quick denied the accusations, sending a letter to legislators apologizing for “incorrect information” in his testimony to legislators. His letter didn’t, however, address concerns about his credibility raised in a separate report that suggested he had lied about receiving a MBA from Wayland Baptist University in Texas. Quick claimed to have received the degree after attending the university for two years, but the school’s registrar told Alaska’s Energy Desk that he had attended for about nine months and didn’t graduate. Dunleavy has appointed Paula Vrana as the acting commissioner for the Department of Administration. 1 Comment on "That was Quick: Dunleavy commissioner already out after being accused of lying to Senate"
Apparently the Raynolds didn’t mind calling him an owner when these businesses took off. There were several articles in town calling both Quick and the son, Bryan Reynolds the owners. I lived in this town when this was happening. Everyone was so excited. This was not the only article stating him as an owner. It was terrible when the Reynolds screwed over the Quick family. And it’s terrible that they have done it again.